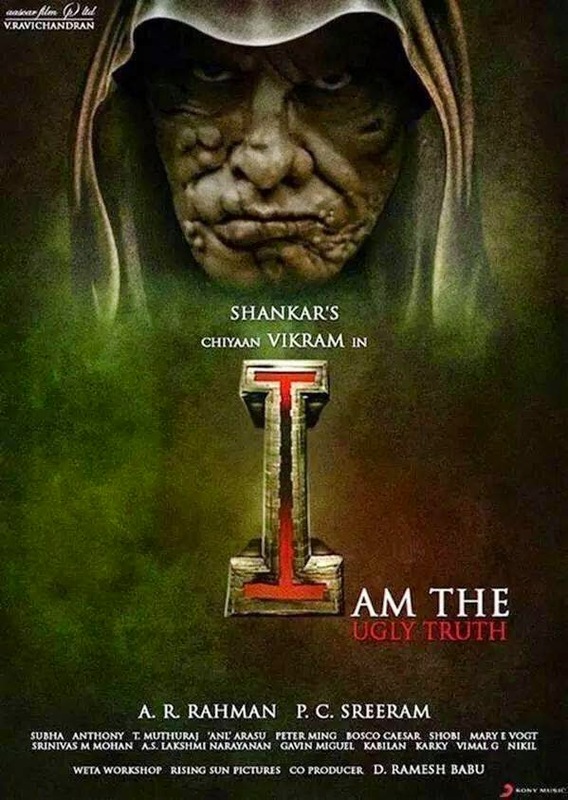 The big problem I have with Shankar's latest film (a collaboration with Anniyan star Vikram) is that it feels less like Shankar and more like Muruga-dross. Shankar in the past struck a chord with his blend of overdrive masala hi-jinks and topical issues. Apart from his uniquely delirious visual and narrative sensibilities, he was one of the few mainstream movie-makers that represented the aspirations of the middle-class, giving them, at least in the movies, moments of catharsis in his elaborately mounted depictions of the evils in their lives being vanquished. We cheered as adulterers, corrupt cops, parasitic slum-dwellers and noxious politicians got their comeuppance, taking us momentarily out of our feelings of helplessness and self-pity. His audacious take on technology gone haywire in Endhiran/Robot had sufficient chutzpah to leap over its shortcomings in the way of logic and coherence. To see him go from there to a drawn out personal revenge drama seems not so much like shifting perspective as narrowing it. Without going into spoiler territory, although you would have to be really simple-minded to not see every single plot twist well before the reveals are made, this film is about a hero getting fucked over by a bunch of evil folk, and then taking his revenge on them. While Murugadoss would have subjected us to an excruciating unbroken bloc of puerile vomit inducing romance that runs up to nearly half the movie's length before going into the revenge angle, Shankar tries to vary things by moving back and forth in the narrative timeline, so we see acts of revenge being conducted on people before we see the evil they do. In practice this only reduced my ability to sympathize with the protagonist's vengeance. Entertaining campy revenge dramas have been made before - mainstream Indian cinema of the 70's and 80's is chockablock with such films. But they work within a certain scope, a straightness of path. (Over-)Powered by Shankar and Vikram's desire to awe, the resultant convolution and hot air make a royal mess. The action and song sequences seem like rehashes from previous Shankar films - A fight across rooftops in China provides some thrills. The product placement songs are kinda fun. While the picturization of the I'd Do Anything For Love ripoff song is interesting, the song itself is the aural equivalent of applying nail pliers to one's testicles. the movie is awesome. everybody(atleast most of them) liked the movie. visuals, vikram, amy jackson ruled the roost!. to be honest, only critics are pissed off with this movie.